Gen Chönden’s advice to “Follow the path of peaceful, positive minds” sounds like the perfect New Year’s resolution. But for this to work we have to want that change. But really, do any New Year’s resolutions last longer than a week? It’s not that folk don’t want to stop procrastinating, exercise more, or to learn how to meditate. It just doesn’t seem to happen. My take on that is that if you’ve got time to breathe, you’ve got time to meditate. But I’m a fine one to talk, I’m a terrible procrastinator. ☆ * •. ¸Even just a glimmer of wisdom and compassion in a mind darkened by anger can lighten it. I have been in New York City for the last ten days, on the occasion of attending the city Temple opening for Kadampa Meditation Center NYC and the North Eastern Dharma Celebration in upstate New York. Buddha Shakyamuni seems to float in mid-sky, surrounded by the most ethereal looking statues I have yet seen in the New Kadampa Tradition. I loved seeing a blissful Great Mother Prajnaparamita next to a knowing, smiling Tara. There are a lot of women in this city, and a lot who attend the Buddhist center, and it seems timely and inspiring to have these female enlightened beings in pride of place, perfect role models both. 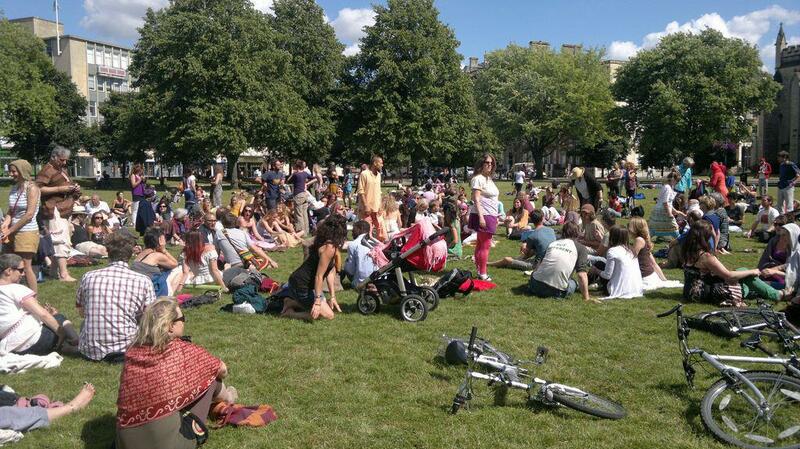 Kadam Bridget in Bristol UK!! The teachings of Buddha show how to find pure happiness through developing deep peace within our own mind. In the text ‘Modern Buddhism’ Venerable Geshe Kelsang Gyatso has presented these teachings in a way that makes it easy for modern people to gain experience of the profound path to inner peace. The instructions given in this book are scientific methods for improving our human nature and qualities through developing the capacity of our mind. practitioners of all faiths to deepen their understanding and practice of the spiritual path. – one we generally put to the back of our minds until we are forced to face it, but confronting our own death is probably the most difficult psychological hurdle we will ever face. For 52-year-old Dave Thomas, who is terminally ill, his own mortality is a fear he has grappled with thanks to his powerful belief in his Buddhist faith and by using the meditation techniques he has developed over two decades as a practising Buddhist. 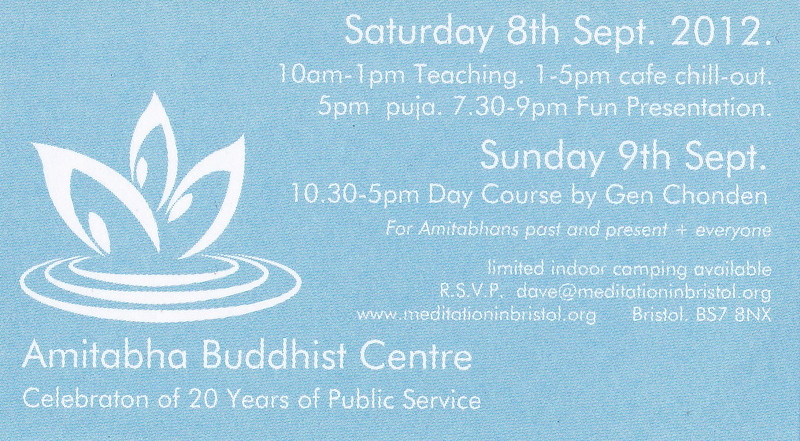 “This dying lark isn’t nearly as awful as it’s cracked up to be,” the former Fleet Street journalist tells me, flashing a warm smile, as we meet at the Buddhist meditation centre he has attended for the past four years – the Amitabha Buddhist Centre in Gloucester Road. Amitabha is a residential and teaching centre, housing lay and ordained Buddhists; including Dave’s meditation tutor Kelsang Chönden. Chönden bristles with kindness as he comes out of the room in his full monastic habit to arrange the coffee. 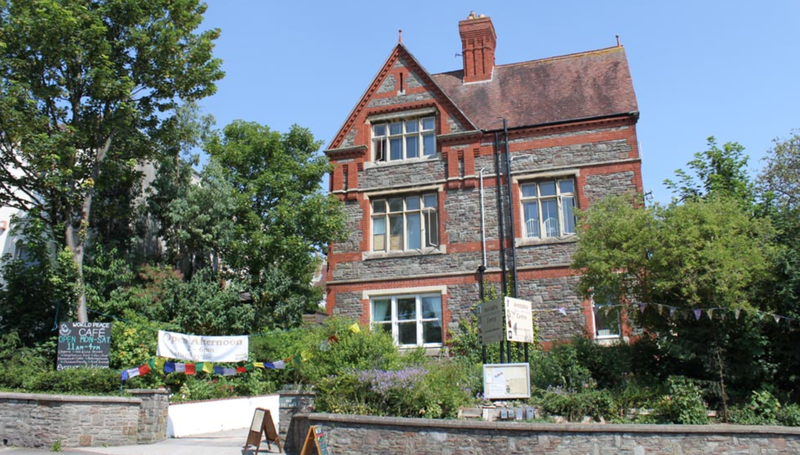 A Bishopston landmark for the past 20 years, the centre, now based in an old vicarage, has trained more than 5,000 Bristolians in the ancient Buddhist art of meditation. For Dave, the calming aspects of meditation came into their own after being told he had only a short time to live. “I was diagnosed with pulmonary fibrosis back in 2010,” Dave explains. “I had found myself getting increasingly breathless, and had no idea what was causing it. But the consultant at the BRI explained the condition to me – essentially the air sacs within my lungs are increasingly failing to transfer the oxygen from the air to my bloodstream. Sadly it is terminal without a lung transplant. “That was a couple of years ago now, and as things currently stand the doctors believe I may have just a couple of months to live. Being told you are dying is an extraordinary experience. Suddenly you are facing the big one. It’s an awful lot to get your head around. 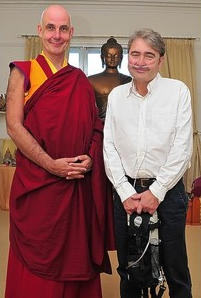 Dave uses a mobile oxygen canister, which pumps oxygen into his nose to assist his breathing, but when he meditates he doesn’t need to wear it. – he says. “From the moment someone tells you you’re dying, you see the world very differently. You value everything so much, it’s actually quite wonderful. I was recently walking in some woods near my home, and it struck me that the last time I was there I was jogging through in a track suit. Dave says he was “the typical old-school Fleet Street hack” when he first discovered Buddhism, while working on the Sunday People at the height of the Maxwell era in the 1980s. “I had a wonderful time, doing a job I loved, and with a beautiful family, but I was conscious that for some reason, at the back of my mind, I was not contented. I didn’t feel complete happiness. “I realised that slowly, subtly, the meditation was changing my mindset – calming me. So I carried on with my meditation sessions, and over time, together with the Buddhist teachings that have come with it, it has had a profound effect on me and my ability to find peaceful acceptance when bad things happen. 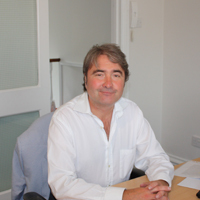 Dave moved to Bristol in the 1990s as one of the founders of news agency South West News Service, and later founded another media business, Medavia, but was forced to retire a couple of years ago as his health deteriorated. He has now reached an extraordinary level of acceptance as he faces the end of his life. “I have been admitted to an intensive care unit twice in the past few months, and on both occasions I thought I was hours from death. “So I’ve been very lucky to have had two dry runs – so I know that through using compassionate meditation, that is, meditating on the sorrows of the people around me in the intensive care unit, I was able to focus my mind entirely away from any fear about my own death, and what is left is pure peaceful acceptance. “What concerns me much more is the suffering I know it will bring to my family and close friends when I die. “I know I will feel sorrow about leaving behind my family and friends and all that I have worked towards in my life, but I also know that through meditation I will be able to take away the fear of death. Once you take that away, there really is nothing left to fear. Acceptance is tremendously liberating. Dave smiles that warm smile once more. He glances briefly at the enormous figure of the Buddha that dominates the room, and briefly at his meditation mentor, Kelsang Chönden. There is so much peace in his eyes, it is impossible to feel sad. I shake his hand, and he returns to his meditations. and Beauty is to be Found in the Moment – images. 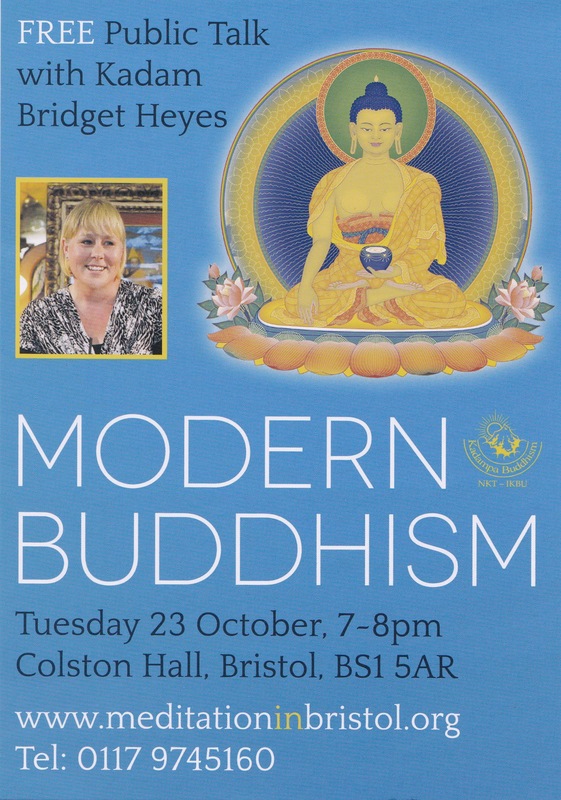 Kadam Bridget Heyes is giving a free public talk on Modern Buddhism, at the Colston Hall, Tues 23rd Oct. Knowing the power of Buddhism to heal our minds, and society today, David’s paid for 10,000 card flyers to advertise it. 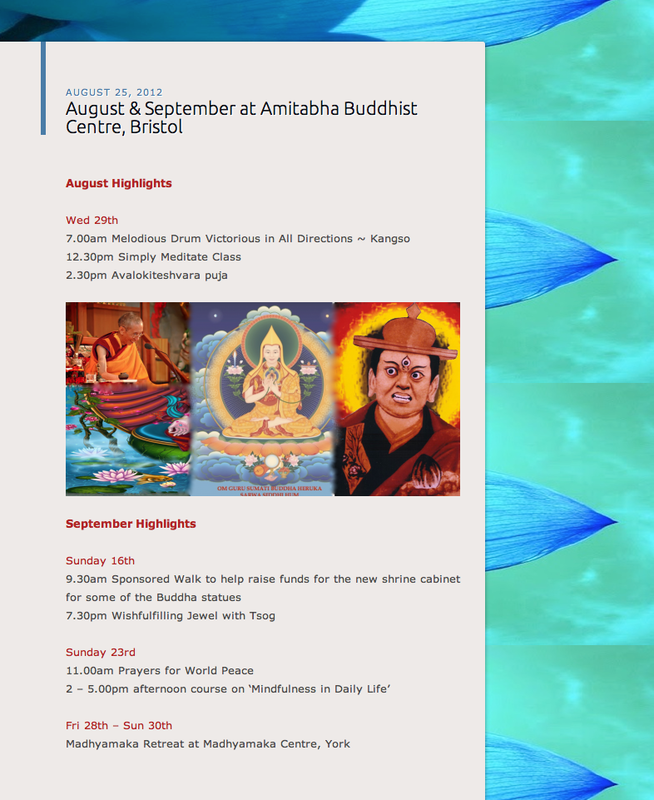 For more details, visit Amitabha Buddhist Centre, or see Kadam Bridget in Bristol!! here. David needs a new lung! “I stopped breathing for awhile. It’s difficult to believe David’s talking about himself here ~ he’s looking at you with that cheeky grin… is he joking? Sadly no, with a fraction of normal lung capacity, breathing has become increasingly problematic for David. But listening to him is a humbling and positive experience. He’s a genuinely decent person, and my discussion partner in scripture class. I’ll truly miss him if he doesn’t get a new lung soon. “Which means my lungs are packing up. He’s got this nifty little rucksack for carrying a mini oxygen tank, which he uses on trips out. Like a travel bag which gives him that much needed air to breathe. 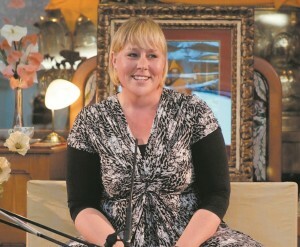 “My only hope of survival is a lung transplant. 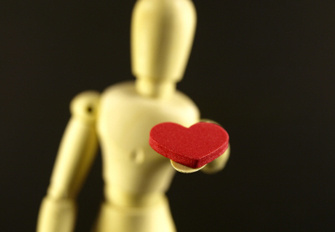 But shortage of donors means that 3 people die each day waiting for a donor. The NHS Organ Donor Register needs more people to sign up. David feels this is terribly sad. David’s outlook is scientifically quite bleak. He was diagnosed 21 months ago. 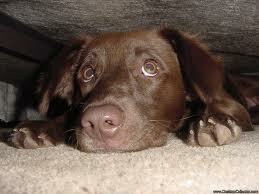 If it was me we were talking about, it’d have to be from under the duvet where I was hiding. But David’s surprisingly positive and cheerful. Interview with the Bristol Evening Post, looks at how Dharma has enabled David to be that brave. Also Beauty is to be Found in the Moment – images. David Thomas was a national newspaper editor and journalist. He’s now a semi retired director of a media company. Married with 3 kids and a fat chocolate labrador. Or you can just sign online here. ♥ Loved it! Lovely and sunny too!! 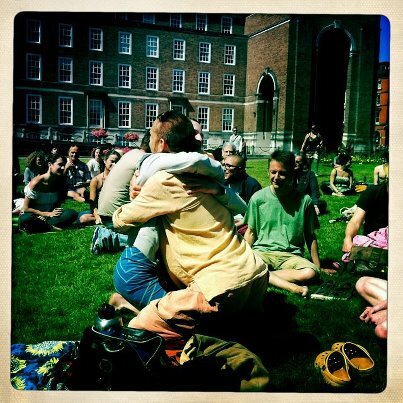 Gratitude for a beautiful gathering, beautiful beings, all blessed with beautiful sunshine…. may all beings in the world be happy and at peace. …There I sat, thirty minutes of contemplation and breath. A sense of others in my parameter, a sense of safety and goodness longed for. The mind, free to meander through the thoughts that have been challenging it of late. Encouraged, elevated and energized. A fresh start. A desire to meditate and make time for this amazing space in mind, body and soul. Thank you, to all who made it possible. Jas Baku, Athena Faith Arcayan, Master Matthew Greenwood. 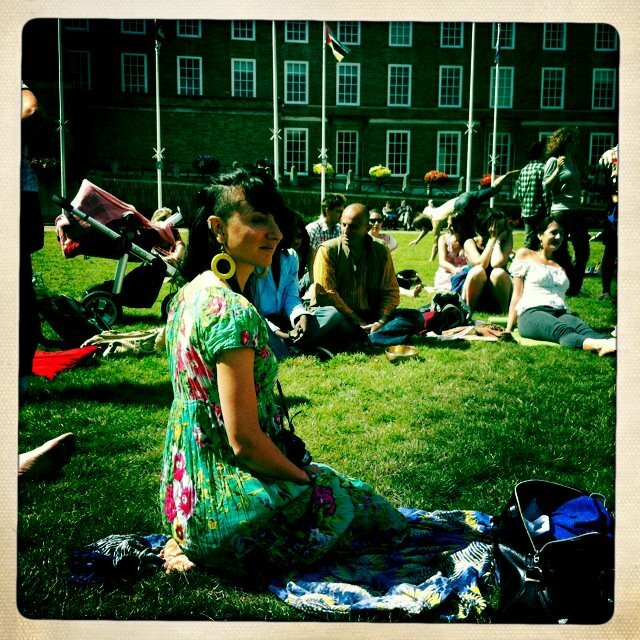 The brilliant write-up by Shivani Fox, from BCFM radio, on her blog about ‘loving living well.’ sums the experience up nicely. 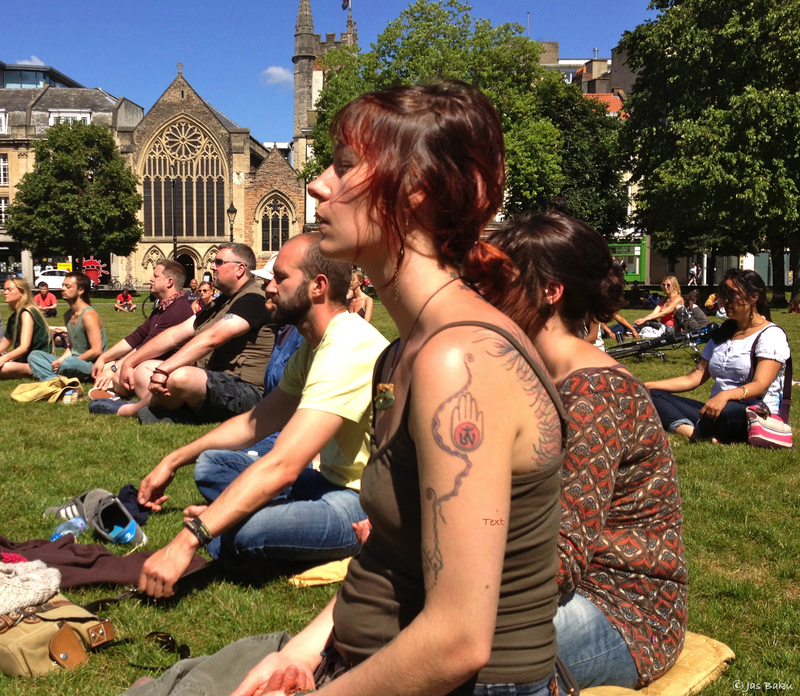 ~ hundreds of like-minded people across the UK, sitting for a better world.